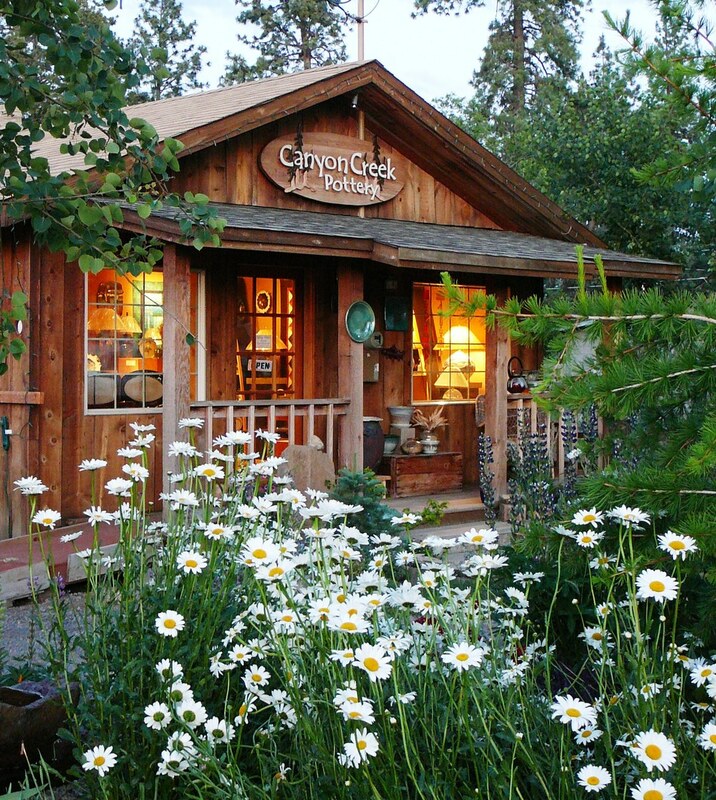 Canyon Creek Pottery is a working pottery studio and adjoining gallery that features the functional pottery made by Kenneth Merrill. After falling in love with pottery while in high school, Ken moved to Central Oregon in 1990 and went to work with a local potter. In 1998 he moved to Sisters, Oregon where he opened a working studio and gallery next to his home. Ken makes a wide selection of handmade pottery. Each piece is thrown on a potter's wheel and fired in a custom walk-in kiln where it becomes stoneware. All of my pottery is made of the finest clays available. He specializes in handmade dinnerware sets, lamps, sinks and functional pottery. The Gallery displays Ken's pottery that is made by Kenneth in the studio. You can find a wide selection of handmade pottery from dinnerware, lamps, vases, platters, sinks, wall art, teapots, canisters, pie plates, mugs, bowls, and much more. If you are staying at Sunriver, Eagle Crest Resort or Black Butte Ranchit is just a short drive to Canyon Creek Pottery in Sisters, Oregon. There are lots of fun things to do in Sisters Oregon like mountain biking, skiing, hiking, golfing, fishing, shopping, galleries, Sisters Folk festival, Sisters Quilt show and Sisters harvest faire. Although Sisters is easy to find from anywhere in Central Oregon, Canyon Creek Pottery can be a little tricky. But if you enjoy fine handmade pottery, it is a must see and well worth the effort! Stop by and visit the next time you are in Central Oregon! You can see more of Ken's work at his website. You can see Ken at work here.